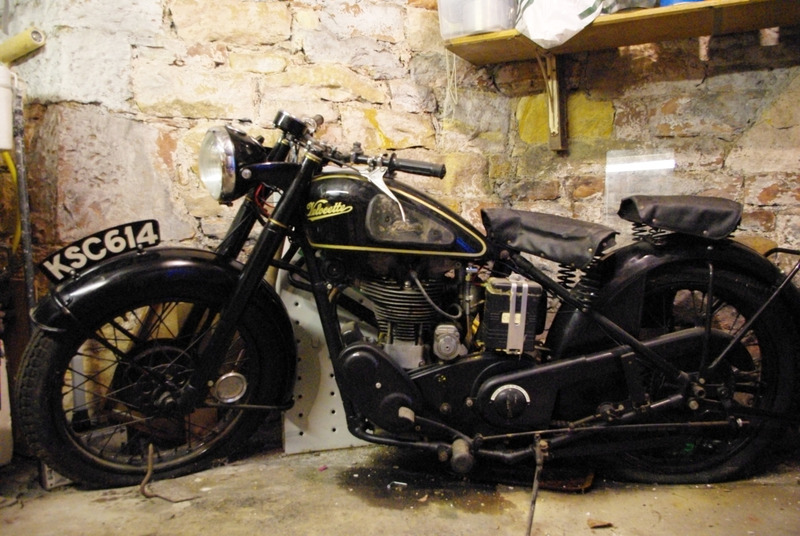 Item: This is a 1949 Velocette MAC. 350cc classic British motorbike. I bought it in 1970 for £20 with part of my student grant. I loved this bike from the first moment I rode it. It’s a real thumper and I have travelled thousands of miles on it. There is NO rear suspension on this bike, so the pillion seat is simply a pad bolted on to the rear mudguard. It is so low that on a trip to Northern France, we had stopped at a road junction and my pillion passenger Iain who was 6ft 4in. tall put his feet on the ground and stood up to stretch his legs and at that exact moment the lights changed and I accelerated away leaving him standing in the road!! This bike is definitely not for sale. You can watch a video of one of these bikes in action here.